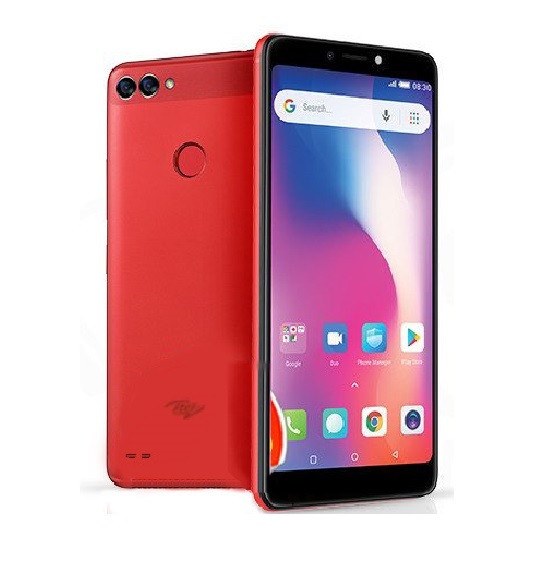 Tecno Pouvoir 2 is an affordable Android Oreo smartphone that comes with a Phablet-sized display, the screen features the trendy 18:9 aspect ratio, giving the device a more premium look. 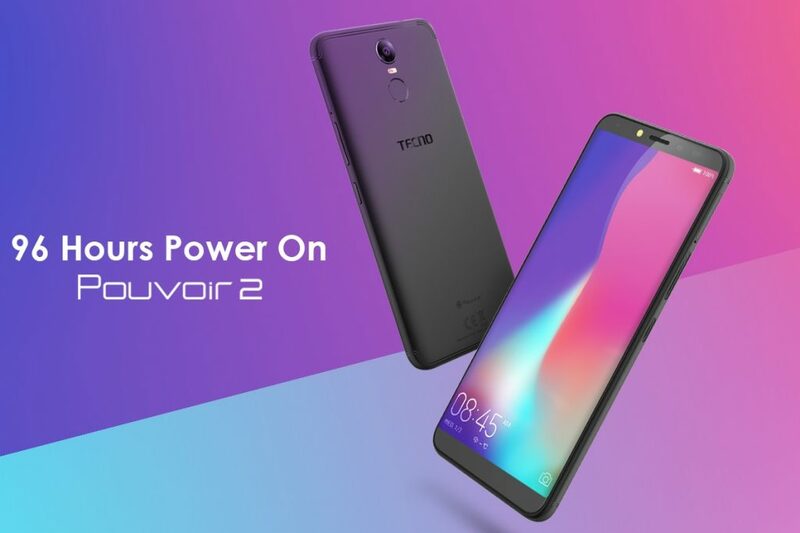 The Pouvoir 2 has a lower version which is called Tecno Pouvoir 1, the two Pouvoir smartphones from Tecno Mobile carries large battery capacity which happens to be their major selling point. 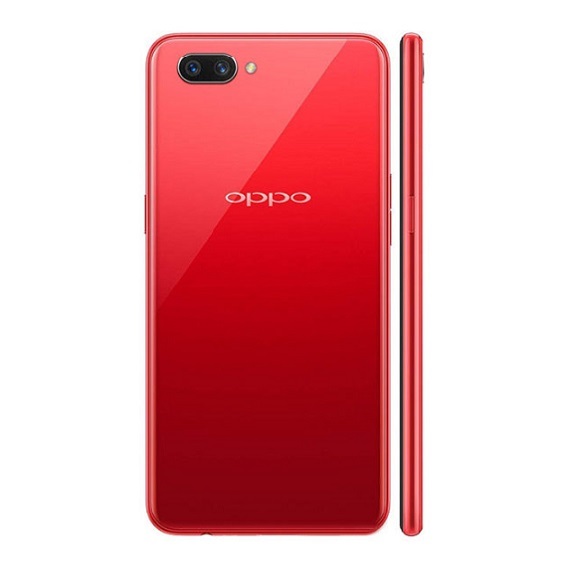 Another enticing feature in their spec sheet is the pre-installed Android 8.1 Oreo OS, they are said to also offer astounding camera functionalities. Let’s go into details and see all what the Tecno Pouvoir 2 has in store for its prospective buyers. The Pouvoir 2 device crams a 6.0 inches display that has an HD+ resolution of 1440 by 720 pixels, leaving its PPI (pixel per square-inch) at about 304. Like we earlier mentioned, the smartphone is garnished with 18:9 screen aspect ratio that will leave you with more screen and lesser bezels. Pre-installed in The Android 8.1 Oreo, customized with Tecno’s HiOS user interface that provides several innovative and easy-to-use features to step up your mobile experience. 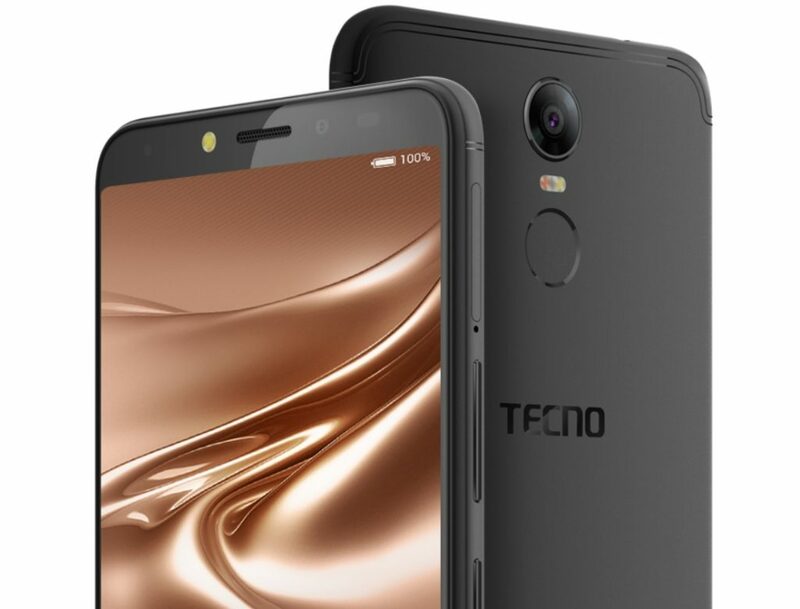 Tecno Pouvoir 2 packs a 13 MP rear camera accompanied by a dual tone LED flash, the Front side sees an 8 MP camera that also has a LED flash for better camera quality even in low-light conditions. In addition to just photography, the front camera also serves as an unlock system for the device. Face ID unlock system is introduced to unlock your phone in a flash, using a detailed depth map of your face to recognize you. The Pouvoir 2 also equipped with a back-placed fingerprint reader for more secured unlock option. Going further into the Tecno Pouvoir 2, we have a manageable 2GB RAM in the smartphone which is paired to a 16GB of internal storage space. If for one reason or the other, space runs out, users are given the option to expand it up to 32GB with a microSD card. At the helm sits a Quad-core processor and a Mediatek chipset, the processor clocks at a maximum of 1.3GHz. Available in City Blue, Midnight Black and Champagne Gold colors, the Tecno Pouvoir 2 is finished with plastic material that keeps the big battery intact. Speaking of battery, the Pouvoir 2 houses a non-removable 5000 mAh battery. The battery is said to offer upto 96 hours of on-time which is really tremendous. The Tecno Pouvoir 2 is currently available in both offline and online markets, prices will vary depending on your location and the retailer you are buying from. 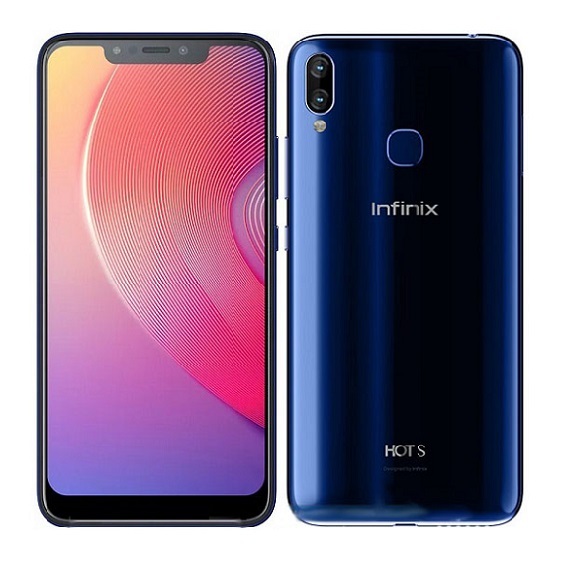 The phone was launched with a price tag of about 46,000 naira, which translates to about 130 USD. You can see it’s availability in the stores listed below. 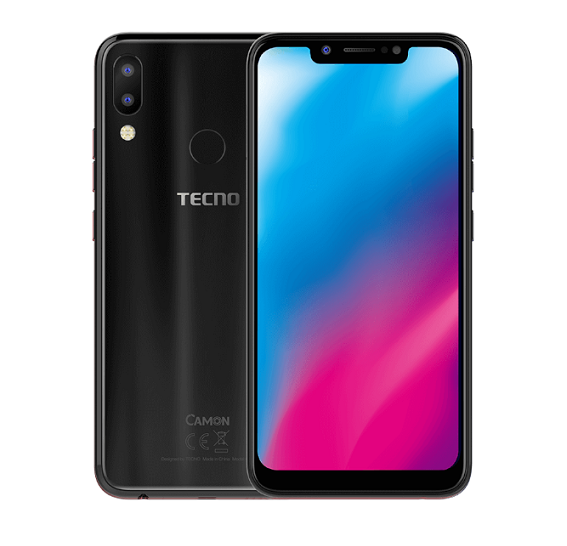 The Pouvoir 1 with lower price tag is likely to be the best alternative here, you might also want to check out Tecno Camon X Pro and other Tecno phones. 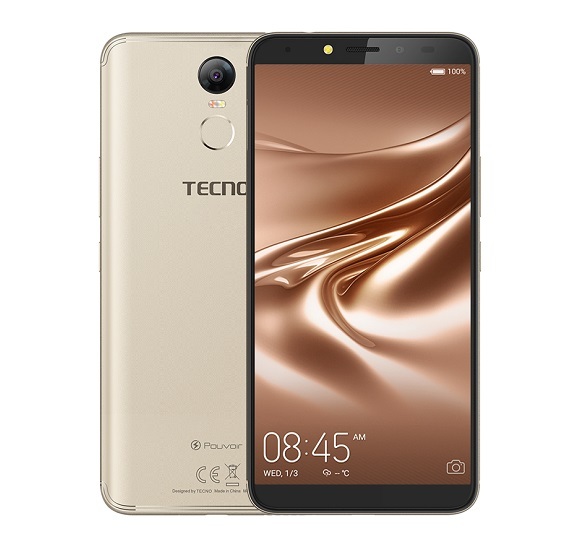 Tecno 8H (DroiPad 8) Specifications, Reviews and Price In Nigeria. Which Tecno Pouvoir 2 has 3Gb RAM because that’s the one I intend to buy. I think it’s the Pouvoir 2 Pro? yes the pouvoir 2 pro is a 3gb ram device. Is tecno Pouvoir 2 unlocked? I mean, does it accept US or Europe sim cards? How much is pouvoir 2 pro??? Good people, I’m frustrated, yesterday my phone update. Their most updates and version that come up. I followed the prompt unfortunately I lost my fonts styles, t-point. How can I recover them? the pouvoir 2 makes mad sense , i can only imagine what the pouvoir 2 pro will be like. 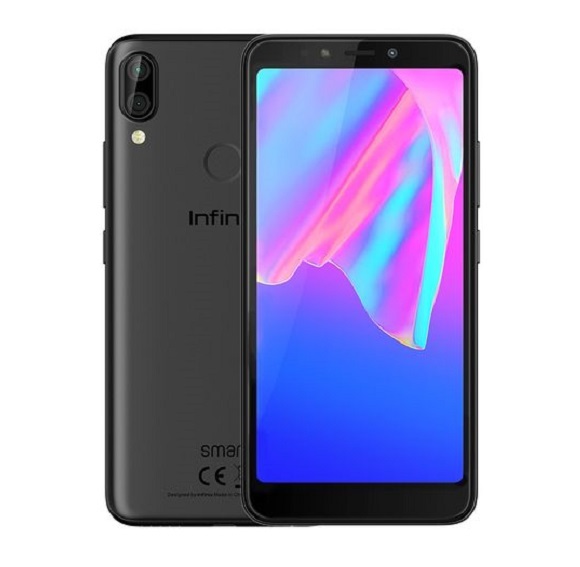 Pls,is pouvoir 2 a good phone to buy,i am much concern about the battery or there other tecno phone within the range of 45k that is okay than pouvoir 2.? does pouvoir 2 shows fully charged during first charge? please like how many hours of charge will it take tecno pouvior 2 pro to full charge? very cool device with great power this pouvoir 2 is. Hello, That must have been the Pouvoir 1 you bought. It is Tecno Pouvoir 1 that doesn’t come with fingerprint scanner. please where can I get it? Please where can I get Techno Pouvoir2 4LTE 2GB to buy and what is the current price if available? i just found ths blog, nice one. Interactive…. Will there be pouvoir 2 pro in the Nigerian market? Or when will it be out? Where can one get the pro, can’t seem to find it anywhere. Please help me how to open the back cover of Tecno pouvoir2 and put SIM card. pls i dnt get the part that says N/A for 2G and 3G connectivity, does that mean i can browse only with 4G? i don’t know w where w to post my own comment. apparently the pouvoir 2 pro is available now, and i must say its a very cool device indeed. No. All it means is that it is 4G by default. But it reduces according to the signal strength. Guy find your way out here and stop ur madness everywhere. This is not jumia site, u can’t be dominating everywhere with ur view, others has view too. Is it just me or 2GB RAM in 2018 sounds like low range smart phone? The phone is nice got mine few weeks ago and the battery is good 1 day with strong usage or nothing less than 17 hours. plz hw much does d pouvoir 2 goes 4 plz I want more info b4 buying it hopefully next week. The Pouvoir 2 goes for about #45,500 to #48,000 in Nigeria. I already have the phone. Bought it yesterday. Am madly in love with it. Howmany hours can tecno pourvoir 2 do in internet browsing, plz ? Please I need to know more about the internet, is it slow or fast? 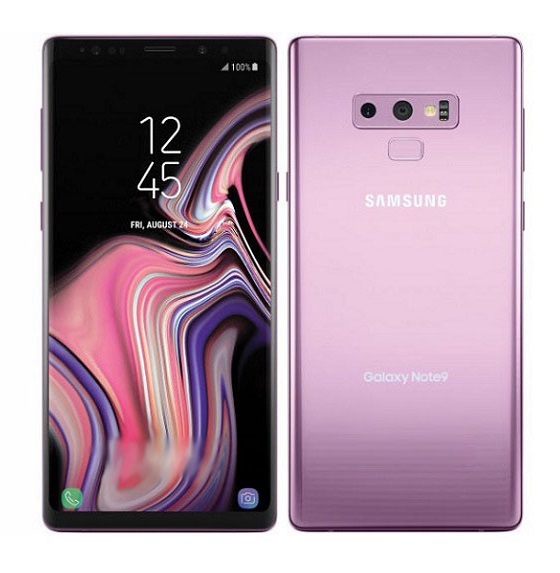 Does the rear camera has a portrait view? Kwa hela ya kitanzania inanunua sh ngapi ? Plz tell me the browsing time of tecno pouvoir 2…. 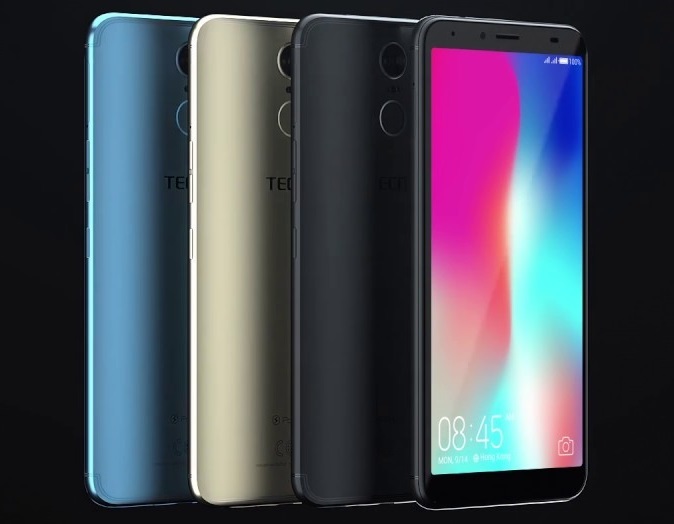 Seems Tecno’s new design has the full screen now. This will be a very useful phone even.